Edline Monclair — The Haitian Project, Inc.
Edline Monclair graduated from LCS in 2015 but still remains a prominent member of the school community while actively pursuing challenging academic goals. After graduation, Monclair accepted a position on junior staff to remain at the school working with the Koukouy Sen Kle Early Childhood Development Program, the education program for young children from the neighborhood. In this position, she receives a full scholarship from The Haitian Project’s Office of External Affairs (OEA), with which she is studying Law and Political Studies at Université Quisqueya. Monclair says that her time at LCS has prepared her well for post-graduation life. She has maintained many of the good habits that she was taught at LCS and continues to demonstrate good habits on campus. 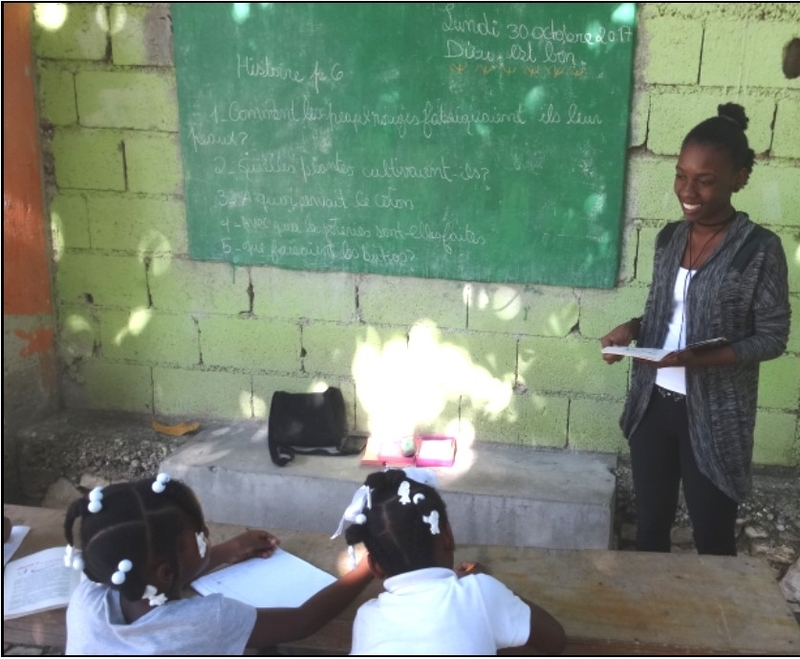 Her colleague in Koukouy Christie St Croix (LCS ‘16) said, “Edline developed a strong sense of responsibility during LCS and is continuing to build on that.” She brings those lessons with her to Quisqueya and uses them to succeed in school. In the future, Monclair plans to continue taking her social responsibility seriously. She said, “I will work on spreading the rule of law in Haiti to create a more just country. Few people in Haiti know either their rights or their obligations to the state.” We are excited to see how Monclair uses the tools she has gained from LCS.